What is Ruby on Rails? What are the prerequisites for learning Ruby on Rails? 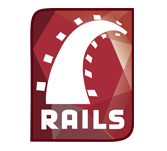 Ruby on Rails is a web application framework written in ruby by David Heinemeier Hansson, which is exceptionally useful to develop database-backed web applications. This tutorial helps user to get end to end knowledge on Ruby Rails 2.1. To learn Ruby on Rails one must have fundamental understanding on the Ruby syntax and languages like blocks, relational databases, SQL, HTML documents and CSS.